It isa Catholic institution of higher education for women was founded on August 15, 1947. The college is located in Chennai. The College is a Catholic minority institution established and run by the Society of the Franciscan Missionaries of Mary.It is an autonomous institution.The institute is affiliated to the University of Madras.The college is re-accredited by NAAC with ‘A’ grade.The College is a Catholic minority institution established and run by the Society of the Franciscan Missionaries of Mary (FMM), a religious congregation founded by Blessed Mary of the Passion (Helene de Chappotin) in Ootacamund, Tamil Nadu in 1877. The initiatives of the College arise from a sound philosophy of life based on faith in God and the contemporary reality of a pluralistic Indian society that is challenged by global ideologies and cultures. Stella Maris College is an esteemed only girls college. It is a Catholic Minority Institution which has a rich history. 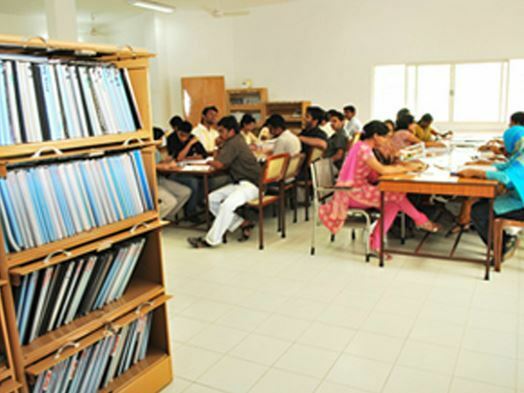 Admission to Bachelors course in English is conducted through written exams taken by the college. After the examination, the candidates who are shortlisted have to give an interview. For B.A. in English course fees are 2400 per year. As it is a government funded college the fees are very affordable and students do not need to apply for loans. Students pursuing B.A. in English are given internship opportunities in Schools, newspapers, content writing etc. Workshops are held by the collage to make the students familiar with the rigors of corporate work. Companies like TCS, Cognizant etc come for campus interviews as wells as publishing companies. Average salary packages are around 3 lakhs per annum. There are very limited number of hostel seats available as most students are local residents. Students can have a single room or share with another person. Hostel fees are around 6,000 per month. There is a canteen with vegetarian and non vegetarian options. Mess fees are 12,500 for every semester. For B.A. English the classes start in the morning from 8 till 1 in the afternoon. The faculty is highly learned and supportive of the students. They take regular classes and conduct extra sessions in case of difficulty in understanding. There are 17 clubs in the college and it is compulsory for students to join at least one club. There is a photography club, dance club, debate club, dramatics club, mime and street theatre club, French club etc. College life is vibrant, exiting and never dull. Placement opportunities are just average. Companies like ICICI bank, Taj Hotel, HDFC bank etc. do visit from time to time. Internship offers vary from one department to another. The faculty is brilliant and very supportive. Most of the professors have a doctoral degree. Diligent efforts and good mentoring defines my teachers at Stella College. I applied for the B.A English Hons course by filling up the online application form, after which had to give an entrance exam. Later, I got selected for the final interview round and after clearing that I got admission into the course. The college is particular about the attendance and students have to maintain 85% attendance in order to appear in the end semester. Students undergo continuous evaluation by the faculty. Continuous assessment and end semester marks are given equal weightage. Admissions are based on the 10+2 results, applications can only be made online and online payment can be made by internet banking/credit or debit card. The fee of the college is very very low. I was pursuing B. Sc, whose fee is around Rs 733 per year. In 2016-2017, More than 60% of the students were placed. Top recruiters include- Goldman Sachs, KPMG, World Bank, Royal Bank of Scotland, Deloitte. So I can say the placement is descent. There are 4 hostels for women and the mess provides both vegetarian and non vegetarian food. Mess charges are Rs 12500 per semester. Other facilities include- an Indian Overseas Bank branch, canteen, health food centre, juice shop, fully automated library, women's study centre, International centre for multi disciplinary research, centre for research in science and technology, science laboratories. There are 17 clubs on campus which includes drama club, literature club, dance club, environment club and a lot of others. For admission into Stella Maris College an application form needs to be submitted online after which the eligible students are called for an interview. Our college has 4 hostels, a branch of Indian overseas bank, canteen, juice shop, health food centre, and a photocopy, lamination & binding shop. Our college has the following clubs- event management, anubhuti, classical, damini, drama, light music, french, folk dance, western dance, western music, kalakriti, photography, quiz, debate & current affairs, etc. The courses are divided into 5 parts- English, Tamil/Hindi/Sanskrit/French, Major & Allied-Core & Elective, General Electives, Core & Value Education, and Student Training Programme with Service Learning. Stella Maris college is one of the finest college in the city of Chennai. It pretty popular for various UG courses. There is no entrance exams as of now , only your class 12th grades or marks are considered for admission which is followed by an interview. Placement of the college is fairly good, Since the college is popular and holds high name in the city many companies such as Google, HSBC etc visits the college for conducting placement. Students here also gets opportunity to do internship with many reputed firms. The college has highly qualified faculties which guides the students very well. Every management person of the college is a professional in their field making the college's academic remarkable in the city. For every course 85% attendance is compulsory. But I believe it is exempted for students of NCC, NSS or others who are involved in co-curricular activity such as sports and have represented the college too at some level. The college campus is huge with most of the facilities needed. It has well maintained digital library, well equipped labs, open theatre and very good cafeteria for students. The cafeteria provides good food at affordable prices. Co-curricular is very important in the college. It has 17 clubs running in the college including classical dance club , dramatics club , french club, western music club and many more. The clubs provided its members various opportunities to learn new skills and take part in numbers if event which is organised by the club. It makes college a very engaging place for any student. Stella Maris College does not have any entrance examination. Only fulfillment of required eligible criteria followed by an interview helps in selection. The fee is quite affordable as the students have to pay around Rs. 25000 per year. The teachers are very interactive. They organise special classes for weak students as well as doubt clearance sessions. 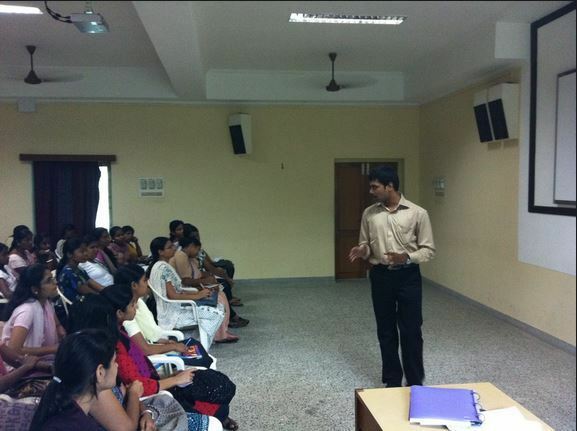 There are frequent events organised which basically comprise of orientation, guest lectures etc. 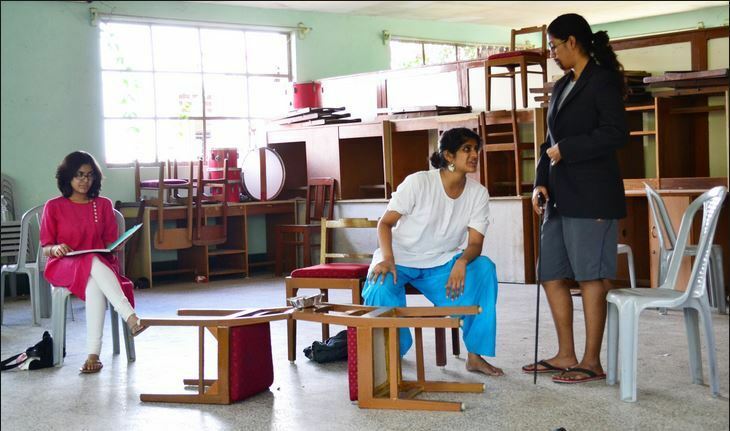 There are lot on clubs like Dramatics Club, Folk Dance Club, French club, music club, photography club and more. The college has hostel but the seats are limited and the rules are pretty strict.